Again, a huge thank you to all of the amazing contributors to this symposium for their interest, engagement, and persistence, both in the symposium itself and in the registers of their personal and professional lives that they shared here. Earlier this year, when Dan Rodriguez approached me about possibly building a virtual symposium based on my essay-ish invitation from last December, I was both flattered and more than a little nervous. Critical responses I could handle, but what if no one cared? It turns out that I am far from alone not only in believing that the future of law is both highly uncertain and full of opportunity, but also in believing that broader and more integrated conversations and actions are needed – and are happening, all over the US and around the world. Your efforts to serve and to achieve justice inspire me. They should inspire students, professors, and lawyers everywhere. First, Dan Hunter aptly noted that our collective challenge today is not merely to figure out “what is to be done?” but also to figure out “how should we do it?” We’re going to need a lot of help. Bill Henderson encouraged all of us to get out of our offices into the worlds of those building and running new legal institutions. That’s going to be important, but it won’t be enough. We’re thinking about rebuilding legal education even while others are thinking about rebuilding and renewing higher education. Universities and law schools were conceived in the late 19th century for a late 19th century and early 20th century economy, one that was significantly agrarian even as it was rapidly industrializing. They were both re-purposed after World War II for the latter 20th century economy, mostly expansive and optimistic amid massive social change. What are universities and law schools for – today, and looking forward? Law/tech innovators and law practice leaders aren’t the only voices to listen to and engage, and law faculty themselves, like the students they teach, are trained to revere the past. To that end, Dan Hunter and I have begun plotting a next conversational phase of this project. We are hoping to have a podcast and a website and blog as spaces to explore and advance the themes introduced in this symposium. We plan to bring together a range of ideas and experiences even broader than the range represented here. I have also set in motion plans for at least one and perhaps two face-to-face gatherings of some of the symposium participants and perhaps others, later in 2018 and in 2019, to translate some of these ideas into generalized vision(s), strategies, and tactics. Here is an open invitation: Anyone reading or writing these posts is welcome to contact me to talk about their continuing contributions to those projects. Anyone reading or writing these posts is also welcome to advance these conversations in any additional ways they choose. Share symposium posts with faculty colleagues, with Deans and Provosts, with chairs of boards of visitors, with interested former students and friends in the legal profession, in law libraries, legal services firms, law/tech communities, law/design groups, and elsewhere. The American Bar Association Commission on the Future of Legal Education is pursuing an ongoing, overlapping inquiry. Comparing the submissions to that Commission to the posts at this symposium is revealing and potentially important. Second, change management still dominates my thinking. I am thinking about deep, long-term, and broad-based cultural change as well as near-term and local strategic and operational change. Here is what I mean: One of the most interesting takeaways from the symposium for me is the apparent persistence of framing our challenges primarily as those that relate to teaching, pedagogy, and curriculum. (It’s as if my interest in legal education reform is disconnected from my scholarly interests, but thanks to Megan Carpenter for noting otherwise!) I disagree with that framing. I hypothesize that law professors and others sense ferment in the formal institutions of law (law schools, law firms, ADR systems, access to justice programs, international legal regimes, etc.) that is linked in some deep way to significant discomfort with the idea that we are witnesses to the continuing, typical evolution of Law (capital L) itself. That’s Law as quintessentially state-based, organized institutionally in centralized and hierarchical forms, exercised via implicitly Hohfeldian relations, based on conceptual categories of exceptionally long standing, and embodied in text for humans to interpret and apply. That is a mostly but not exclusively US-centric account, but it’s an old and durable one, and I suspect that international and comparative legal scholars and researchers in other countries would find much in it that describes formal legal systems around the world and throughout history. That account of Law seems to lead to some standard implications, implications that frame our default settings as law teachers and as lawyers. Human beings stand in a set of simple relations to Law: They are liberal individuals and citizens, or protected or surveilled and disciplined as objects of state sovereignty, or both. They are suppliers or consumers in markets or in Coasean firms. A subset of the polity, trained and licensed lawyers, are cultural and intellectual high priests, gatekeeping suppliers of specialized information and confidential judgment to those in need, so long as they can pay the price or qualify, in rare cases, as needy and deserving enough to warrant service for free or on the cheap. As an exhaustive inventory, that’s rubbish, right? Descriptively, legal scholars and social scientists have recognized for a long time that a huge amount of social life takes place in spaces defined as neither state nor market. Legal information, including the legal information historically delivered to new lawyers via law teaching, is largely now available widely and freely. Legal services building on that free or cheap information are proliferating widely. One wouldn’t know any of that from most law school curricula, however. Ten years ago, one would had to search legal scholarship pretty carefully to find meaningful discussion of the implications of that fact (both the between market and state part, and the applications of free legal information) for law and public policy. Today, empirical legal scholarship directed to “between market and state” questions has flickered to life to an extent that it is at least a recognizable category of legal research for law professors, even if the quality of the work itself varies widely. Or wildly. In technological circles and in many areas of social and cultural life, the last 20 or 30 years have witnessed a flourishing of institutional pluralism and decentralized governance systems, so much so that one may reasonably call into question what Justice O’Connor once called “The Majesty of the Law.” Gillian Hadfield has gone so far as to suggest that a complex world may be more effectively governed via plural legal rulesets, incentivized by grants of exclusive rights in their contents. I invoke her work not simply to praise it, though it’s extremely interesting and suggestive, but to also note that the symposium touches directly on related fundamental questions regarding the origins and purposes of law. Dan Rodriguez’s post about how to conceptualize non-JD training programs in law schools is a different but related provocation. Present communities of lawyers and legal scholars have not really begun to grapple meaningfully with those questions. Yesterday, I happened to be on a panel at Yale Law School that was chaired by a legendary senior scholar. Justice, he declared, defines the law, the lawyer, and the legal profession. Nothing more and nothing less. That person was not wrong, but it could have been 1972 as easily as it was 2018. Many readers will recall a famous scholarly exchange roughly 20 years ago between Larry Lessig and Judge Frank Easterbrook regarding the utility of “cyberlaw” as a conceptual category for law, policy, and scholarship. Lessig was right, I believe (yay to cyberlaw), but Judge Easterbrook may have had the better of the argument over the longer haul, at least in pragmatic terms (cyberlaw is no better than the so-called “law of the horse”). Along with network technology itself, which has insinuated itself into virtually every domain of personal and social life, “cyber” questions have been domesticated and integrated into just about every “ordinary” curricular category in law schools. Often, that development has led to effacing cyberlaw’s distinctive questions (read Lessig to learn what those might be) in favor of “normal” questions. “Cyber” crime is a species of crime, for example; “personal jurisdiction” in cyberlaw cases is a species of personal jurisdiction; and what’s so special about information security or cybersecurity, anyway? Those points generalize. Law has long blended continuity and change. For legal educators today and for students now beginning their training, the artifacts of the legal profession seem to be as fixed as the categories themselves. How can I miss the casebook or the law review article if it won’t go away? Casebooks are physical codifications of “Law,” 1870 to the present; law review articles have been the currency of the scholarly realm since HLR, volume 1. A recent, well-attended and thoughtful exploration of “the future of legal scholarship” appears to have been devoted entirely to the care and feeding of those who publish heavily footnoted papers in law journals, as Margaret Ryznar pointed out. The final part of my initial invitation expressly put big jurisprudential questions squarely on the table. I frame all of this in open-ended terms: What is law and what are its purposes, functions, meanings, strengths, weaknesses, and implications today and going forward? How should those questions be explored in research and scholarship? What is the role of law teachers, law students, and lawyers and those with legal training in pursuing justice? Equity and equality? Opportunity? I join those who suggest that there is a direct link between answers to those questions and to the design of the institutions of what we now call Law and the legal system. I’ve spent some time recently reviewing the career and writings of Willard Hurst. He’s worth another look. In racing ahead to deal with tech things, experiential education, costs, and licensure, let us not assume away the challenges of defining our values and then defining our field – or fields. I still teach Contracts; my law school has a standard and highly conventional mandatory first year. I begin the semester in homage to Professor Kingsfield, with Hawkins v McGee. I shift gears pretty quickly. 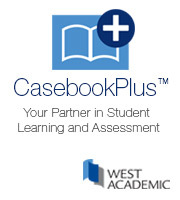 I don’t use a casebook, and I don’t assess my students based only on examinations. Contracts is rich with great stories and can be a wonderful vehicle for helping students learn many things. Contract law, as it has been expressed traditionally in law schools, is usually not one of them. It’s no longer obvious to me that contract law, as it has been expressed traditionally in law schools, even exists.